I love peonies as much as the next girl. 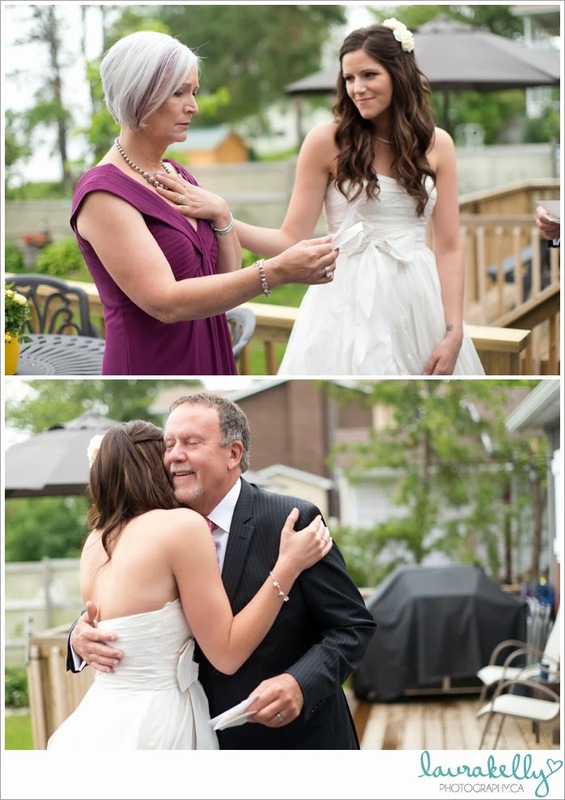 But I love a moment between a father and his daughter on her wedding day more. 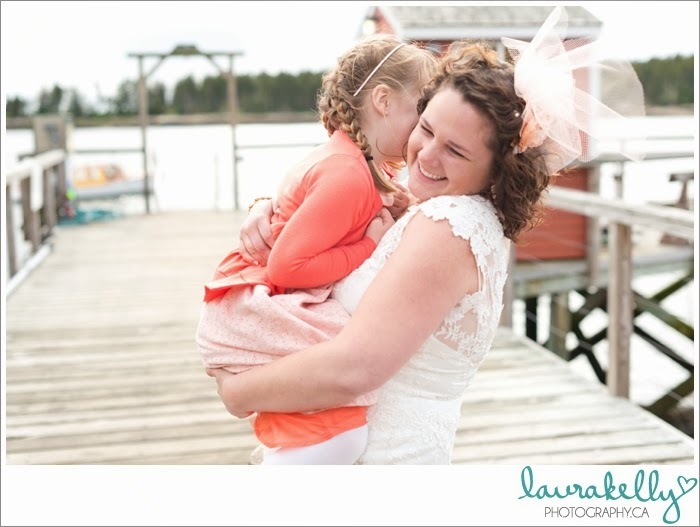 And when I sit in the quiet of my home office and look back on the wedding season that just passed, it's moments like this that convince me I've found the right profession. 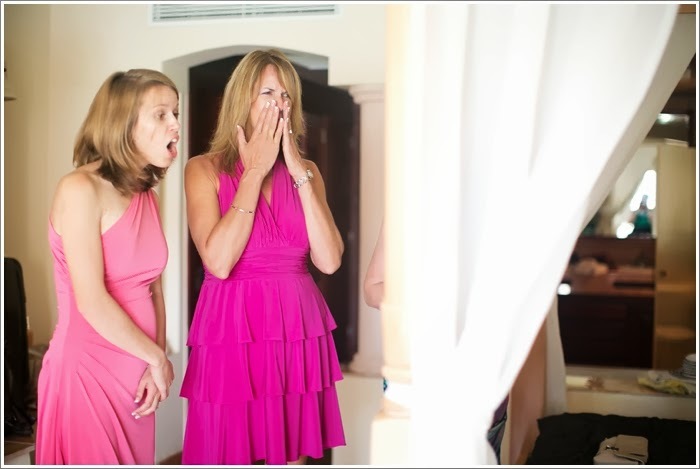 But if there's one thing I know…it's that emotion doesn't just automatically show up at every stage of your wedding day. You have to put it there. 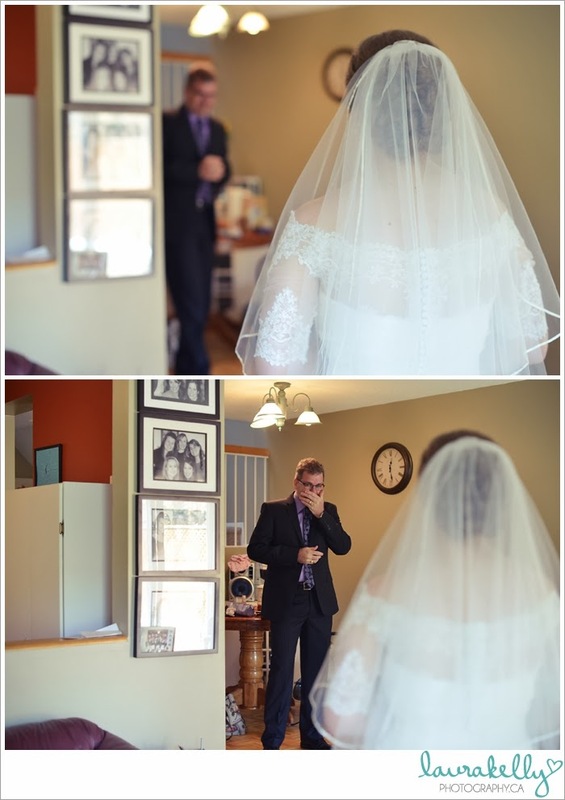 The photo above is one of my favourite getting ready shots ever because it's 100% real. 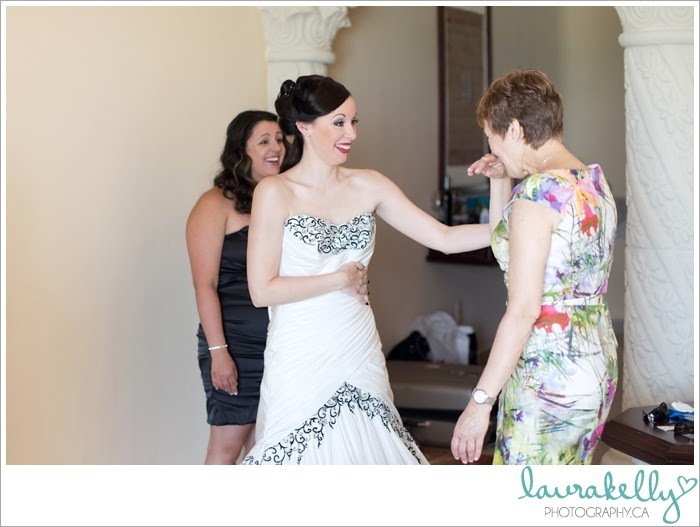 Kristie is such a flawless bride, but aside from that…this moment where her mom is doing up the back of her dress is actually FUN for her. And what is she looking at in the corner? Her wedding party, who are fully dressed and giving Kristie their full attention to help make this moment organic and special. I love to use this photo as an example when I meet with brides for their timeline consult, in hopes that they'll push the bridesmaid prep time a little earlier than expected. 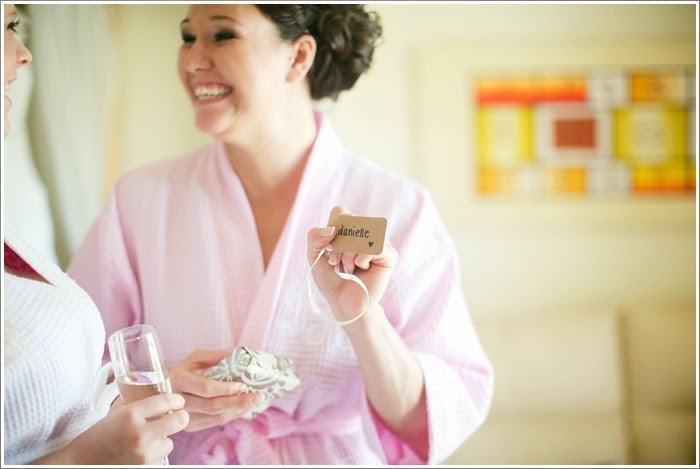 Because imagine how different this moment would be for Kristie if her girls were racing around in the background trying to find an outlet for a hair straightener or asking that classic question, "WHO HAS A BOBBY PIN?!" 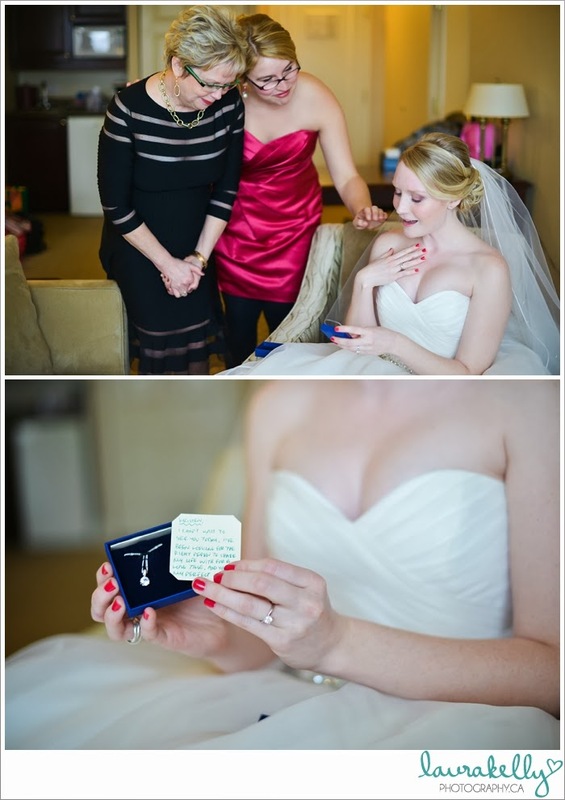 I have received so many comments about this stunning card that Brittany gave to Brent on the morning of their wedding. But let's break down these two images so that I can really give you an idea of what goes into creating this moment. First, the card is awesome. Brent read that and smiled so big while he tried to do the math and make sure she was right. 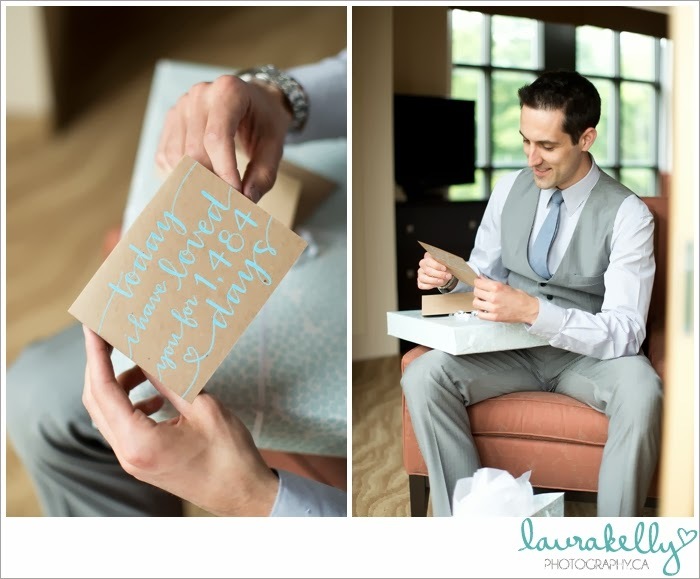 Second, how many of you brides-to-be would LOVE a shot of your husband tearing up at your card? Right?! That's photography GOLD right there! And this may come as a surprise but…in order to make this happen…you have to write a card that's worthy of a few tears. 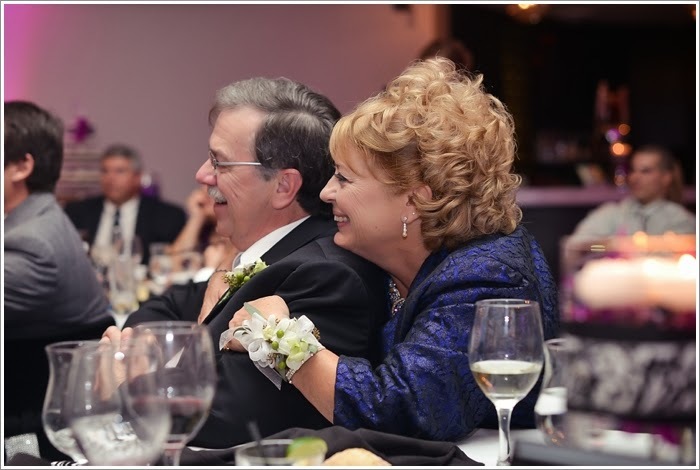 Let me repeat that: if you want a certain kind of reaction from your love on your wedding day…you need to make that happen with the words you write, the gift you give, and those little personal touches that you know will mean something to him. And below you'll see Kristie again, opening up a present from her husband-to-be… What you aren't seeing is a necklace and a pair of earrings that Kristie picked out and then informed Brad to purchase. No, this is a gift that he picked out himself, and that's what makes it perfect. Heartfelt cards to parents: a definite must. You already know how much I love a first look. And it's 99% due to the fact that I believe when you see each other for the first time on your wedding day, you should be able to kiss each other! 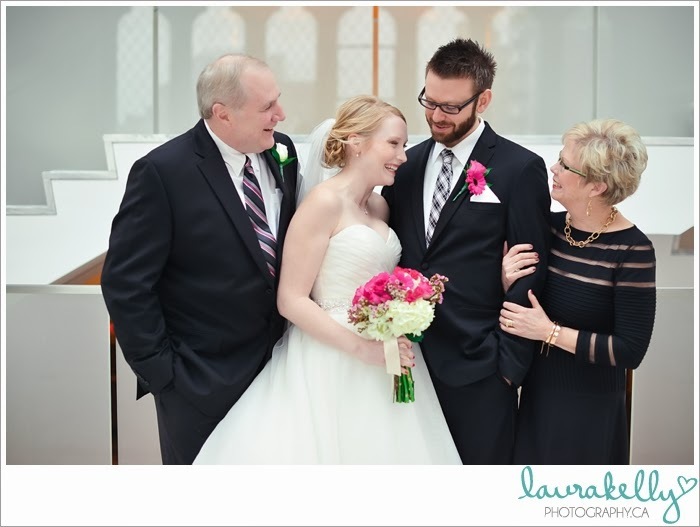 And who says you can't plan a first look for you and your dad? 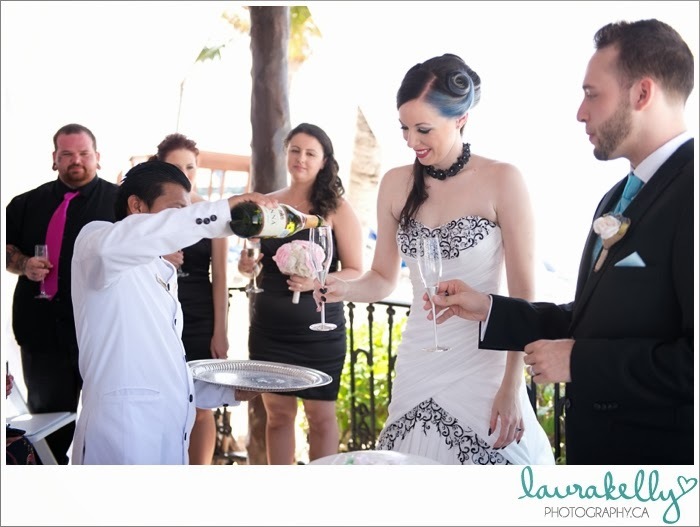 Speaking of Louisa & Corey's wedding in Mexico…there's something about destination weddings that if you've never been, you may not know. After the ceremony is over there's this magical thing that happens where the staff comes around and gives every single wedding guest a glass of champagne for a toast to the bride and groom. And I firmly believe that we all need to band together and make this a tradition for Canadian weddings too because there's nothing like getting to congratulate the happy couple right after they say "I do." 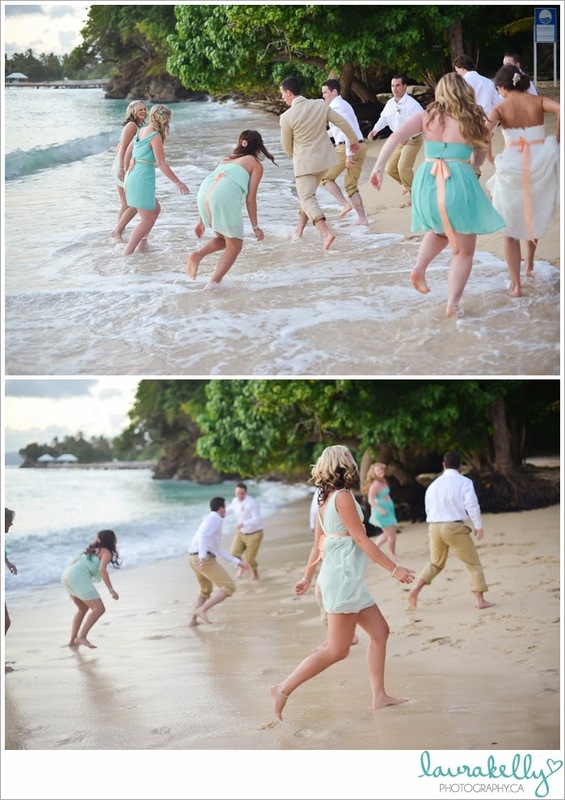 Plus, how many people can say they played tag on the beach at sunset with their wedding party? Destination weddings are my favourite, and these photos from Stephanie and Richard's wedding in Samana make me feel like a kid again. 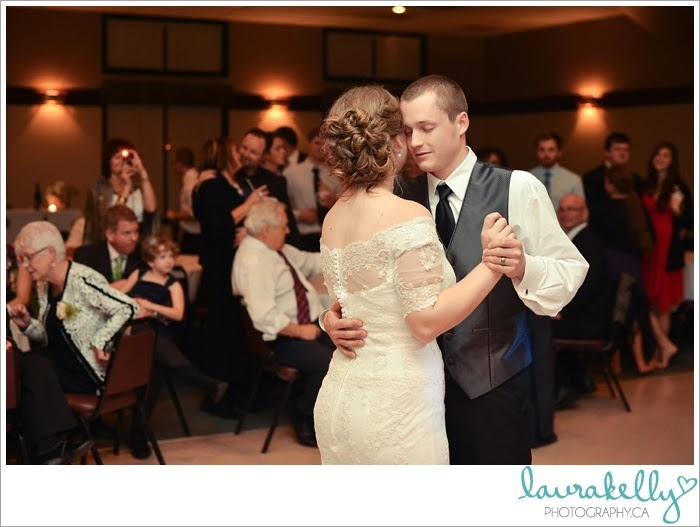 I'm going to finish this post with just a few more tips for getting the most out of the emotional parts of your wedding day. And marry the man who gives amazingly thoughtful wedding gifts… (the kind that make your mother-in-law cry immediately).